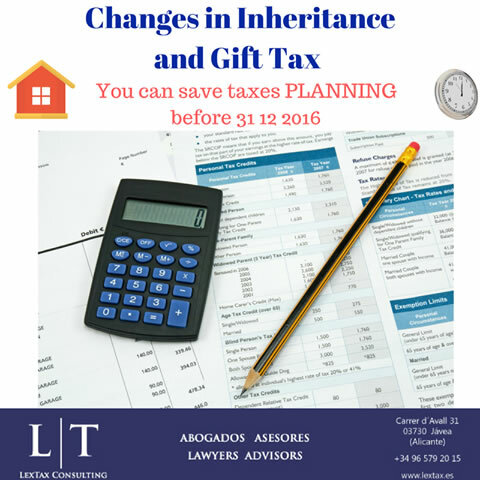 One of the tax issues that gives most concern to resident and non-resident in Spain is the inheritance and gift tax. Currently the tax has been unified for all citizens of the European Union, following the judgment of the Court of Justice of the European Union dated on the 3rd of September of 2014, which set aside differences of tax treatments between Spanish residents and non residents. Inheritance Tax and Donations in Valencia is subsidized up to 75% when it comes to transmissions mortis causa from parents to children and between spouses. Possibly next January will come into force a new legislation and most of these benefit and tax credits, will disappear, so that taxation will be higher after the change. 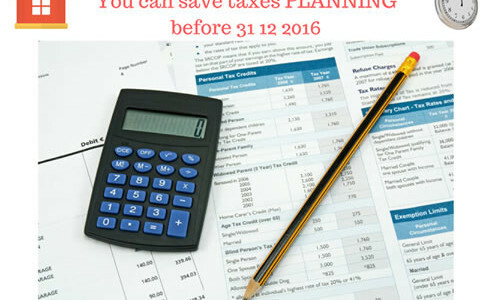 As a tax advisers, we suggest that in order to reduce the aforementioned Inheritance and Gift Tax visit one of the experts from Lextax team to analyze the implementation of certain measures before the 31st of December 2016 to reduce the Inheritance tax without involving an excessive burden on the Income Tax as a capital gain or on the municipal tax in their case.